Move in ready May 2019! 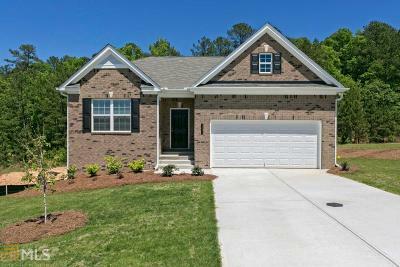 The Lanier-Lot 50-HOA Fees incl lawn maint. Flexible one-lvl living available in the Lanier, punctuated by light-filled sunroom dining area w/views of backyard & access to covered patio. Adjacent open kitchen w/eating bar overlooks spacious fam rm. Entire open living area can be expanded by choosing a second dining area or study instead of third bdrm. Owner&apos;s suite, tucked away at back of home, feels like private sanctuary w/spa-like bath & sizable walk-in closet. Conveniently located & extra large laundry rm enhances everyday living. Directions: I-575 North To Exit 20, Turn Right Off Exit. Prescott Point Is Approximately 3 Miles On The Left.